Australian horticulture growers will share in $29.4 million worth of measures that target sectors with high export growth potential. 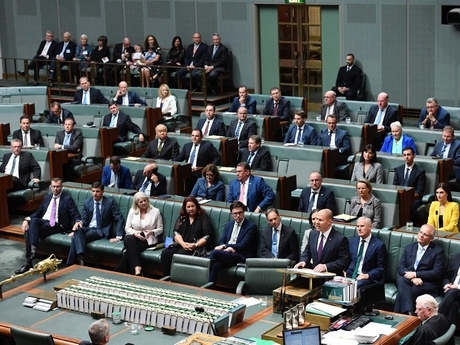 The Coalition government handed down the first Federal Budget surplus on Tuesday night in nearly a decade ($7.1billion), with many “sweeteners” for voters ahead of an election that is expected to be held next month. Minister for Agriculture and Water Resources David Littleproud says the export growth package includes $11.4million over four years from 2019-20 to break through the technical and scientific trade barriers so Australian fruit and vegetables can get faster market access into more countries. "We produce the best food and we need to give our farmers as many markets as possible to send it to," he said. "Free trade deals decide the tariffs but we still need to negotiate protocols to send our produce across which satisfy the importing country we won't bring pests or disease. We only export 18 per cent of our horticultural produce, so there is big potential to grow. We're also getting behind boutique producers with a four-year extension to the Package Assisting Small Exporters worth $6.1 million to build on its success. This helps small exporters across the sector get market access for high-value goods." The Department of Agriculture and Water Resources says horticulture exports are forecast to exceed $3 billion in 2018–19 (an increase of over $1b since 2014–15). This makes it the fastest growing agricultural sector over this period, one that provides around 73,000 jobs nationally. Minister Littleproud says the grants can go towards developing systems to meet overseas food safety and quality standards, tailoring products to foreign markets and solutions to technical barriers. In addition, the government will continue to pursue free trade agreements which have tremendous potential for Australian agriculture through tariff reductions. 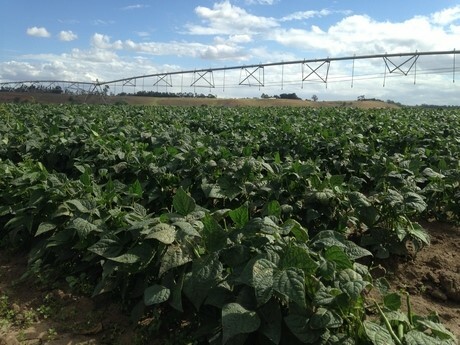 "The Government is also investing $6.8 million over four years to extend the Agricultural Trade and Market Access Cooperation (ATMAC) program – an initiative of the Agricultural Competitiveness White Paper," Minister Littleproud said. "The ATMAC program is there for large industries and producers. It has successfully broken-down technical trade barriers and improved access to premium markets returning dividends for our farmers." It funds projects to maintain biosecurity, influence regional and international policy making and ultimately open, improve and maintain market access for Australian producers. "The ATMAC program will help us to build and maintain important trading relationships and recognise what's important to our trading partners," Minister Littleproud said. "Overseas markets are crying out for Australian food – it's simply a matter of making sure we meet overseas expectations when we send it. $5.1 million will be invested to identify key barriers to trade in high export markets and then remove them. This will be done through the Enhancing Industry Action on non-tariff measures program through work with industry and importing countries." The export measures have been welcomed by the National Farmers' Federation, which says the budget generally sets the stage for agricultural growth. "Australian agriculture exports 70 per cent of what we grow," NFF President Fiona Simson said. "Our farmers depend on broad, unfettered market access. We know there are significant opportunities in existing and new markets by understanding and addressing non-tariff barriers and equipping small exporters with the capacity to get their product to market. Funding to allow us to do just this is welcomed." The Government is also providing $6.3 billion in drought assistance and concessional loans for farmers and farming communities, and to prepare for future droughts, the Government is investing $3.9 billion in the Future Drought Fund. Flood-affected farmers in North Queensland will have access to up to $300 million in grants to rebuild farm infrastructure, and replant crops. $50 million is being provided to cover up to a quarter of farmers’ investment in on-farm water infrastructure, such as piping, tanks and troughs. The Government will provide $2.9 million over three years from 2019-20 to drive national leadership for agricultural innovation. The Government has committed to $160 million for a fifth and sixth round of the Mobile Blackspots Program and $60 million to improve the NBN Sky Muster experience, which will improve communication in the bush. The NFF also welcomed $1.9 million for an analysis of the future farm workforce, and a $34 million Agriculture Stewardship Package attempt to reward farmers for the environmental outcomes. For transport operators, the government has announced a Road Safety Package of $2.2 billion, including $1.1 billion for vital maintenance and repair, $550 million in increased funding for the Black Spots Program, and an additional $571 million for bridge renewals and safety including heavy vehicles. Freight routes will be improved by committing a further $1 billion to improve our network of Roads of Strategic Importance on top of our existing $3.5 billion investment. This will better connect communities and make it easier for regional businesses to access markets. The Federal Government is also working with the states, territories and business to roll out a National Freight and Supply Chain Strategy. However, the NFF points out that not every box has been checked, with notable omissions including genuine action on an Agricultural Visa and a commitment to develop a National Agricultural Strategy. "Farmers are leaving produce on the vine to rot because they just can’t source the workers they need. It’s time the Government stopped pontificating on this one and delivered the known solution in the form of an Ag Visa," Ms Simson said. "Our labour woes are just one example of where we need a more strategic approach by Government to complement our vision to reach $100 billion by 2030. As we head into the Federal election, we need a clear commitment to a National Strategy for Agriculture. We look to forward to hearing the view of the Federal Opposition on some of the key planks of tonight’s budget."